Kevin Joel McCoy (born 21 January 1971, Newport News, Virginia) an American singer, composer, producer ex band member of Bad Boys Blue. Kevin was first introduced to music at 7 years old, when his parents bought a piano for his sister, who sadly had no interest in music, unlike little Kevin. He later on learnt how to play trombone. From 1990 to 1992 he attended Virginia State music school, specialising in piano and singing. This was the time when he met his future wife, a famous German singer at present, Nikki McCoy. In 1991 Kevin was also seen as a drama actor at the Apollo theatre, New York. Kevin is also widely known as a composer, however the bands he previously composed for weren’t very popular. The first really famous song composed by Kevin was «You Told Me» performed by «Motif» (1993), produced by Rex Rideout. After his graduation from the music school, Kevin spent 4 years from 1992 till 1996 at “Canon” factory in New York. Having saved some money, he moved to Germany to really kick off his career as a musician. In 1996 the talented artist was scouted by EMI and hired to work for the label. 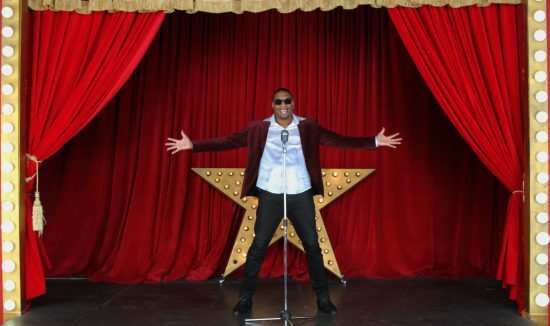 During the 2 working years, he recorded hits like «Where Is Your Dream» (feat. Ova Steel), where their duo was called Blackdraft, and «Still I’m Sad» (feat. Hydra). Due to the contract restrictions, Kevin was unable to perform under his name, therefore starting from 1997 he was performing under a stage name of JoJo Max, recording «Do Wah Diddy Diddy ’99» with A La Carte*. In 1998 Andrew Thomas invited Kevin to take part in the rehearsal for a place in already popular band Bad Boys Blue under Coconut Records, which led him to a new contract in the future. From 1998 till 2003 Kevin was working with Andrew Thomas and John McInerney on promoting Bad Boys Blue. During this time he also became a dad of Kevin McCoy Jr (1999) and Taylor (2003). Kevin carried on composing new songs, which he was quite successful at. After Taylor was born Kevin and his family decide to move back to the United States and try a different job, however 2 years later the music took Kevin’s life over again and he came back to Germany to raise his children and focus on his career with Bad Boys Blue again. From 2005 till 2009 Kevin was performing in Europe and CIS countries under the name ” The Real Bad Boys Blue” with Andrew Thomas. After Andrew’s death in 21 July 2009, Kevin had to combine his work as a musician with his work as a producer. The burden of contracts, negotiations, technical preparations and meetings fell on his shoulders. Kevin was really overwhelmed by doing everything single handedly, as he really wanted to dedicate himself to music and his audience. Contacts and show requests were overtaking his life and he was struggling to keep up. In 2009 Kevin met Igor Senger, who is remains his music producer until now. Together they focus on promoting the label in CIS countries, mainly Russia, by touring in different cities and collaborating with local acts. At different times Brian McKnight, Teddy Riley, New Edition, Diana Ross, Luther Vandross and Basta Rhymes influenced his work. Kevin is one of 8, he has 6 sisters and 1 brother. Bad Boys Blue have a total of 15 studio albums, 29 comps and 35 singles in their discography. The band’s most popular hit of all times is “You’re a Woman”, which reached number 8 in German charts, after it was released in 1985. The single became number 1 in hit charts in Austria, number 6 in Sweden and number 2 in Switzerland. The multicultural pop group of Bad Boys Blue was born in Germany, Cologne. The band’s most popular hits include “Come Back and Stay”, “I Wanna Hear Your Heartbeat” and “Pretty young girl”. 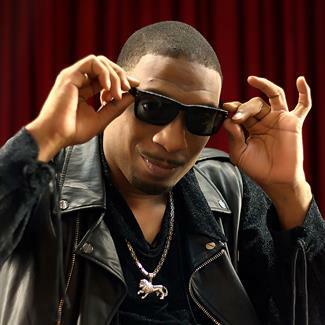 Kevin McCoy joined Bad Boys Blue as a replacement for Irmo Russel in 1999, he previously performed as the band’s rapper in 1998. He left the band in 2003, however rejoined the band in 2005 with Andrew Thomas. The band went through some drastic changes in 2008, when Kevin became the new lead singer, joined by Jeremy Cummins. Together they released several new tracks. How to book a show of Bad Boys Blue with no third parties or extra charges? 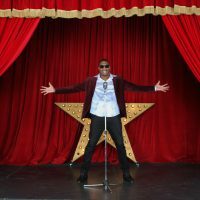 If you book Kevin McCoy with his show programme Kevin McCoy ex Bad Boys Blue for your private party-success is guaranteed, you will hear all the legendary hits of Bad Boys Blue performed live and see a phenomenal show in the best traditions of golden era of disco. 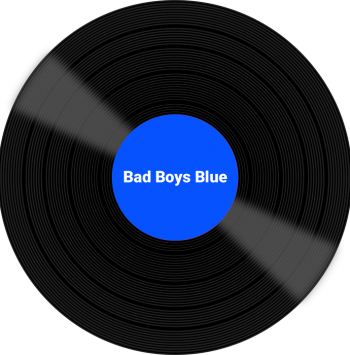 Book Bad Boys Blue directly through the official website avoiding third parties. Working with the artist directly saves you money and time.